Laravel Firebase Tutorial is the topic, we will discuss today. Firebase was established in 2012 as a real-time architecture for synchronizing data between apps. It was taken by Google in 2014. It was a part of a real-time chat integration API. 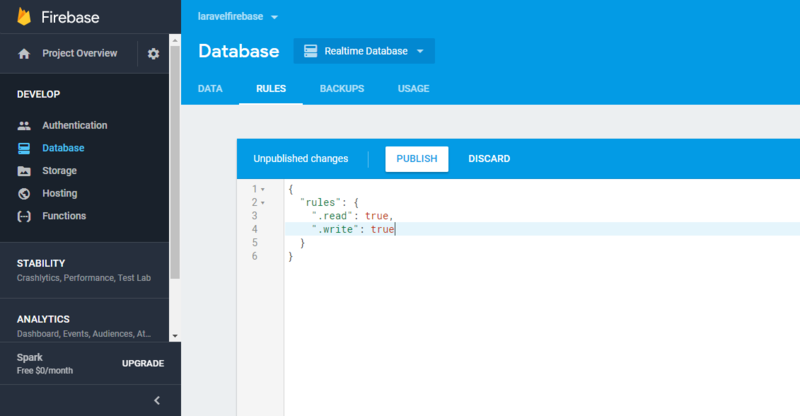 In this example, I will demonstrate how to connect Firebase Real-time Database with Laravel 5.6. We will add the data to the Firebase service. I will write the complete Laravel Firebase CRUD Tutorial post in the future. Web server (Apache, NGINX or integrated PHP web server for testing). First, we install new Laravel Project. Open your terminal and enter the following command. Let’s begin with signing up for a Gmail account. First, Open Google Firebase Console by click on this link Google Firebase Console.Looks like below image. Next window, build a database project and provide information including project name. When finished, click the Create Project button. Wait for the project to be created and then continue. 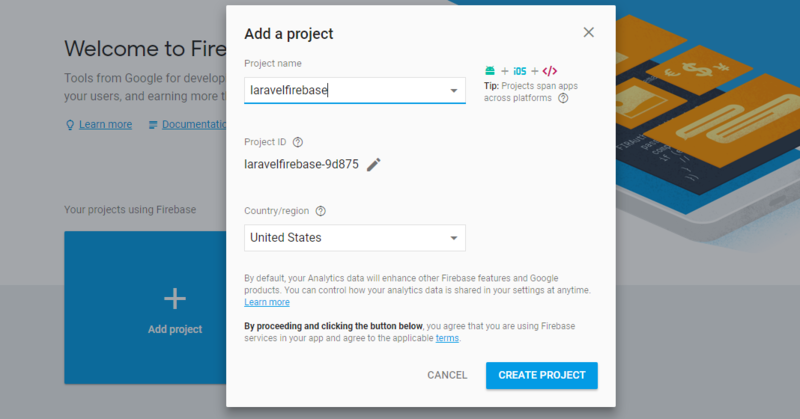 You will be automatically switched to the Firebase Dashboard. After successfully building the project, move to the Database tab, tick Rules to update read and write rules to true and then press the Publish button. 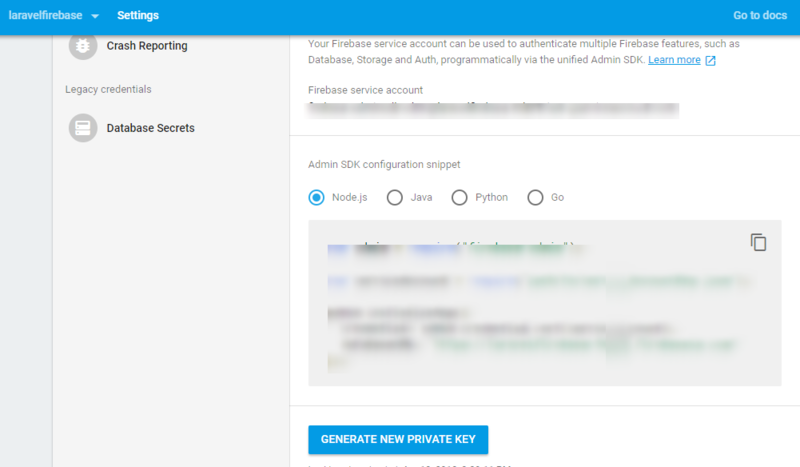 Firebase makes an API key for your project.Go to Project settings >> SERVICE ACCOUNTS. You can download and paste into app >> Http >> Controllers. It will create one controller file called FirebaseController.php. Add the following code to the FirebaseController.php file. Next step, We need to define the route in routes >> web.php file. So let us do it. Finally, Our Laravel Firebase Tutorial is over. Thanks for taking.